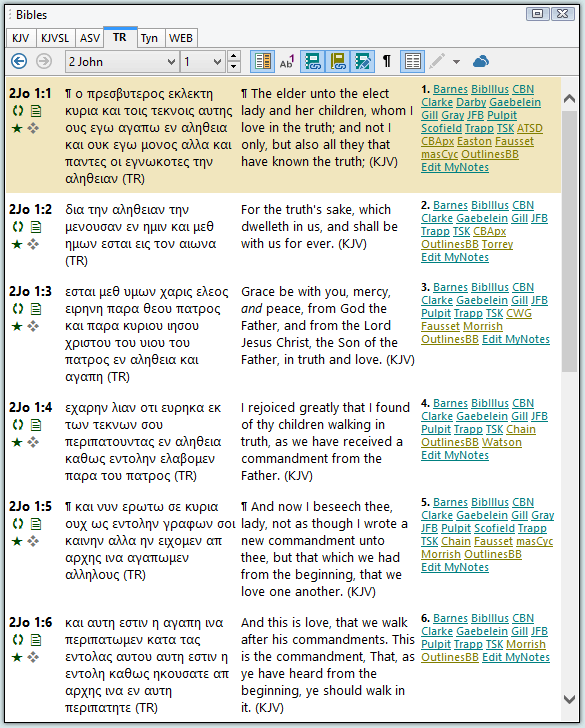 The SwordSearcher Bible Software TR Bible text is a combined Old and New Testament Bible module consisting of the Hebrew Old Testament and the Greek New Testament. 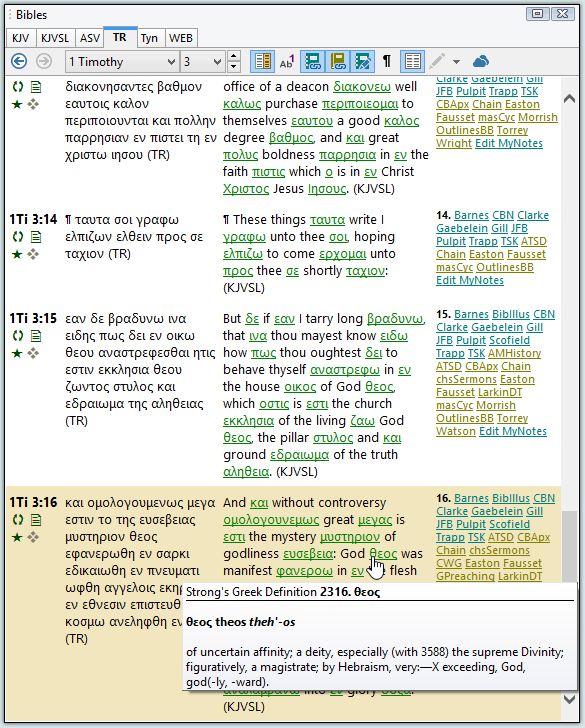 The Greek New Testament is Scrivener's Textus Receptus (1894), with Stephens (1550) variants indicated in footnotes. 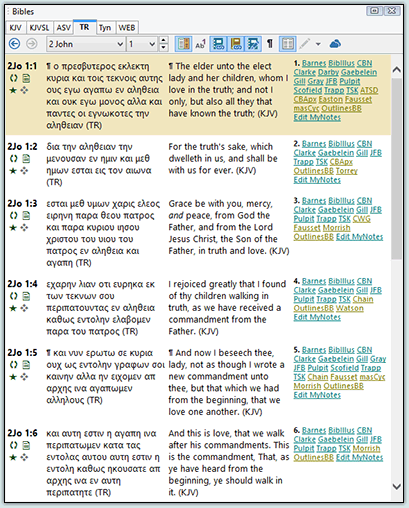 This is a text which, for all intents and purposes, represents the Greek readings selected by the translators of the King James Bible. 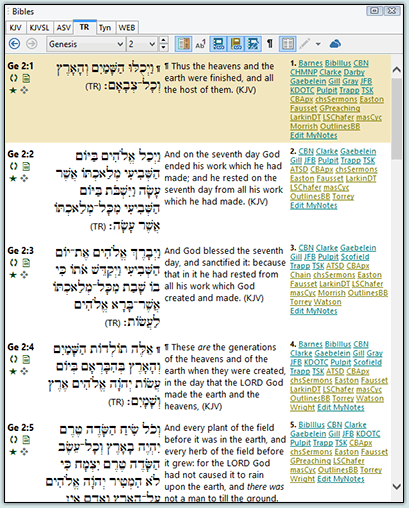 The Hebrew Old Testament (Tanakh) is the Masoretic Text from Ben Chayyim (Jacob ben Hayyim ibn Adonijah) and Christian David Ginsburg, with text selections made as necessary to represent the Received Text underlying the King James Bible. 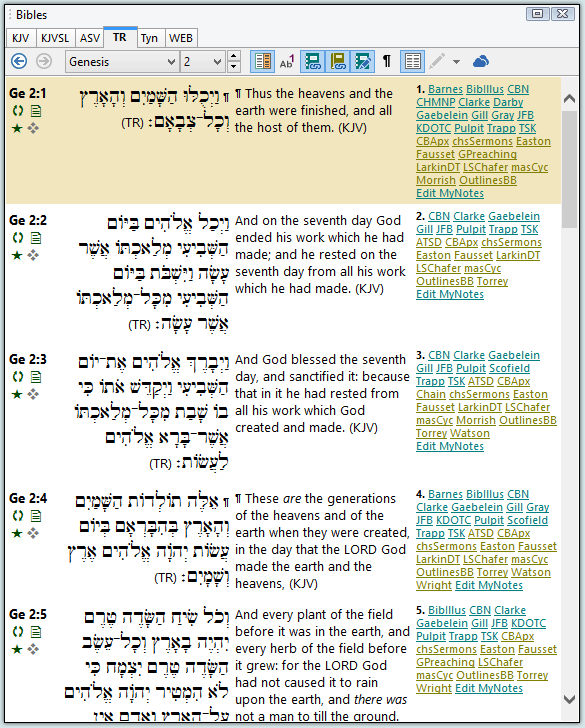 The SwordSearcher edition of the Hebrew Old Testament in this module uses standard KJV versification to more readily allow for comparative study. 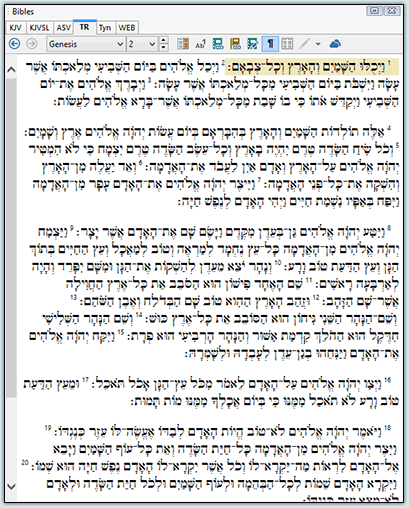 The Hebrew OT is based on the 1894 Trinitarian Bible Society edition and should be considered a work in progress. Corrections and feedback earnestly solicited. 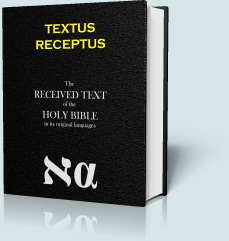 Textus Receptus is Latin for "received text." Though the title is usually applied to the Greek New Testament underlying Reformation-era Bible translations, the term applies equally to the Old Testament text also used in these translations. 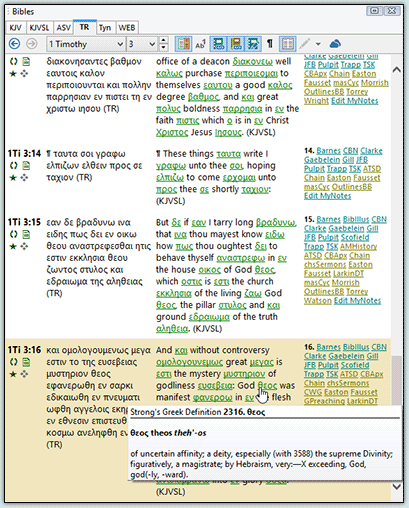 Textus Receptus module in compare mode with King James Version With Strong's Links. 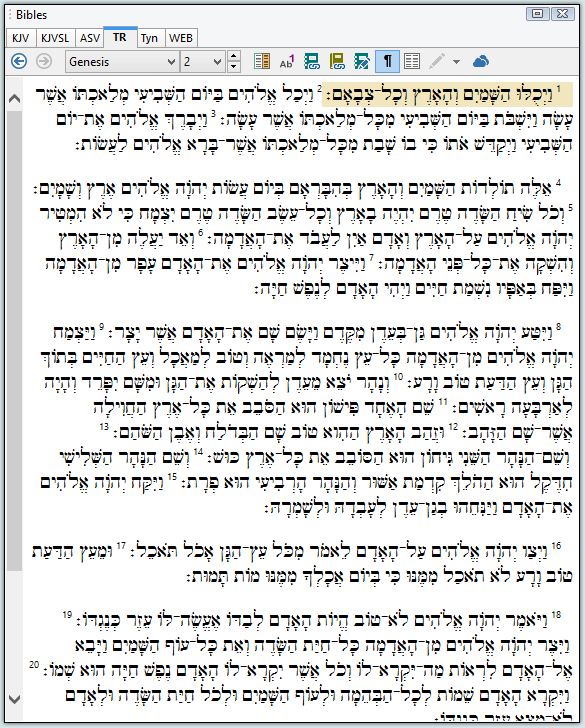 This image shows the difference between a "Strong's Link" and the actual original language text. This text is part of the SwordSearcher Deluxe Study Library. The Deluxe library includes hundreds of volumes. Discover how fast, convenient, and powerful software is compared to mere online study tools.